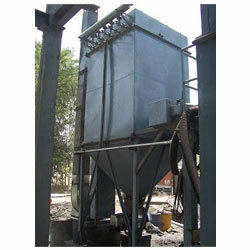 We are a leading manufacturer and exporter of a variety of pollution control equipment. 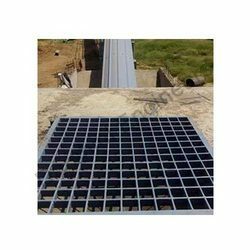 Fabricated using finest quality raw material, our range is extensively used in various industries to reduce air pollution from the atmosphere. These are known for their trouble free operation and high efficiency. Moreover, these equipment can also be tailor made as per the specifications of our clients. We are one of the leading manufacturer, exporter and supplier of suitable range of Bag Filters. The dust is accumulated on filter elements while the air passes through the filter bags from outside to inside. In addition to this, superior quality alloys are utilized in their fabrication process as well as high grade steel & metal components are used in the fabrication process of these products. With the help of our experienced engineers, we are able to design a wide range of Pulse Jet Bag Filter. These filters are widely used in chemical, oil, food and many other industries for extracting the unwanted material. The provided filters are manufactured using the superior quality components under the direction of our expertise. In addition, we provide these filters to the customers in various specifications as per their different demands. 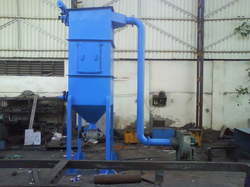 Grizzly hopper manufactured by us is a mechanical unit which is used for feeding special components. Single reduction unit drives the main rotating plate, picks up the components while moving upwards. Due to the loading of gravity components, the slot of the rotating plate. Used for feeding special components. We are known in the market as an eminent manufacturer, exporter and supplier of a wide range of Multi Clone Dust Collector. Our offered dust collectors are specifically designed to be used in the different industries such as automobile, chemical as well as steel plants. Due to their optimum size & length they are demanded across the national and international markets and we ensure timely completion of orders with the help of our wide distribution network facility. In addition to this, these dust collectors are widely praised for their strong construction and seamless performance level.